Low Voltage Wiring, and Computers. 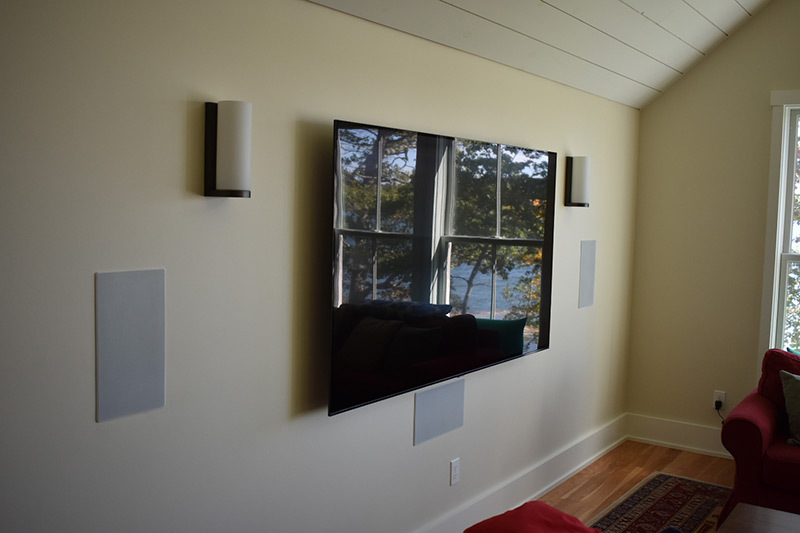 What you can expect from Downeast Audio Video is technology made simple. We make it easy for our clients to make the most out of their systems with ease of operation and second-to-none client instruction and tutorial. It does not take long for our clients to become like family to us. 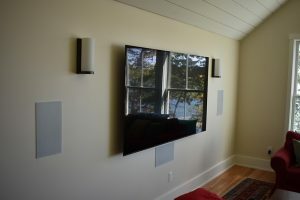 Welcome to the Downeast Audio Video Experience! Zeb makes it simple and fun without breaking the bank. So glad I consulted him first before just randomly buying a new receiver and tv. Zeb came over the next day after my older stereo started giving me trouble and now I'm good to go for another 10 to 15 years. Very happy! Great value. Amazing service. Really enjoyed working with Zeb. Quick follow up. Love my new system and the fact that the install was so clean. Definitely recommend. I just wanted to thank you again for you awesome install in our new home. From the layout to the equipment to your awesome follow up it was truly a pleasure to work with you. My wife and I really love the new system. Thanks too for your attention to detail and your professional recommendations. Everything is so neat and clean! The wireless sub rocks the house. We feel like we got a great value. After his initial free consultation, I felt I had made the right choice. He was good at listening to what I was looking for in upgrades without pushing me beyond my budget. Having worked as an architectural designer, esthetics were important to me. Zeb’s installation gave a perfect balance between design and function. He was neat and tidy as he worked and a pleasure to have in my home… I highly recommend Zeb to assist in any audio/video installation, large or small. Zeb is a professional! His work ethic is admirable-he was on time, was pleasant to have around and was meticulous with his work and clean up. Zeb got a 10 out of 10! I’d use him again in a minute. Zeb Beal is an incredibly talented person. Handling everything from my TV, Internet and camera issues. He is even a handyman! Zeb wears many hats and always has a ready smile but most importantly he is a man of integrity and completely trustworthy. I also enjoy his humorous banter and positive outlook on any job that I ask him to handle. Reliable and resourceful… I simply cannot say enough great things about Zeb!! Downeast not only sells high quality equipment, it provides the finest in service and customer satisfaction, standing behind their products, their installations and their ongoing services. Moreover, we have found the owner, Zeb Beal, to be totally honest, extremely patient and accommodating, and a true credit to his craft… I cannot recommend too highly his products and his services and especially his humor and dedication. Zeb met and exceeded my hopes and expectations. It is a seriously stunning system—and Zeb did it while respecting and working within our budget. He is a professional through and through. He has very high standards and works hard to meet them. But it is his personality and calm presence that is clearly a boon to any job he is on. You would be lucky to have Zeb working on any project you’re considering him for. He is an absolute gem. Zeb, we sincerely appreciate all you did to make the project come together. You were there from start to finish, and you were involved in all aspects from planning to installation. And, so importantly, you were available at all times to answer questions and offer suggestions. Please know your patience and understanding with a generation unfamiliar with the technology did not go unnoticed. Wow!! This guy knows his stuff! Very professional-did a wonderful job picking out a TV and wall mounting it for us. He was available for a couple questions we had after as well. We couldn’t recommend him more highly! You will be blown away by how nice his work is when he’s done. We will definitely be calling him when we need more work done in our home. I am the property manager at an estate in the mid coast region and over the last ten years I have hired no less then three audio video companies. I have been disappointed with the service I received until I called Zeb at Downeast Audio Video. He is responsive, knowledgeable and professional. I would highly recommend this company if you’re looking for someone who will do the project right and stand behind it. Knowledgeable, reliable, high integrity business that focuses on the customer and does a quality job. You get the best stuff available that fits your needs. I wasn’t oversold, but I got more than I hoped for. Highly recommend!!!! Many thanks for steering us right in the installation of a 60″ wall-mounted TV which was tricky due to location and the need for flexible visibility. We were given a fair price, excellent advice and above and beyond service. I highly recommend this company! Zeb Beal has installed numerous products for our family and we are always extremely pleased. He knows his stuff and is very professional and courteous. I highly recommend him. You will be very satisfied with his service, at a very good rate. Our service area includes most of the state of Maine including Portland and the surrounding areas, Brunswick and Downeast Maine. See the complete list of Maine towns we service.